Campfire camp fire summer burning fire, 4K. hd00:21Burning coals. 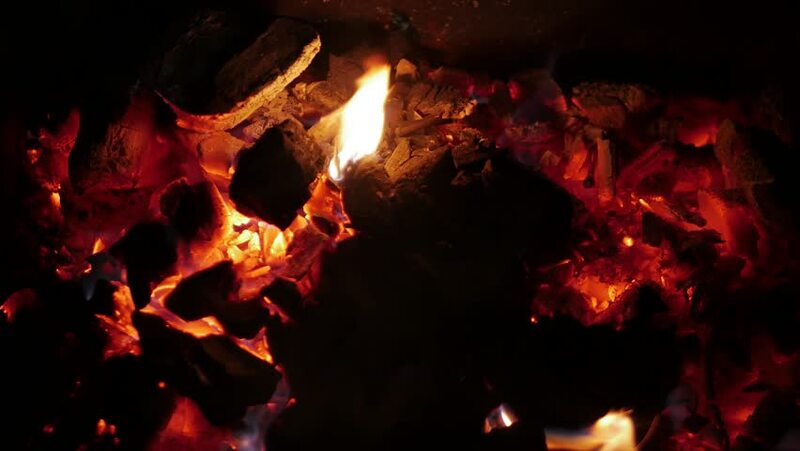 Closeup view of red hot glowing wood inside stove. Embers and fire in furnace. Abstract background. hd00:13Brazier. Firewood burns in a barbecue.